The best Unity plugin to create professional VR applications! 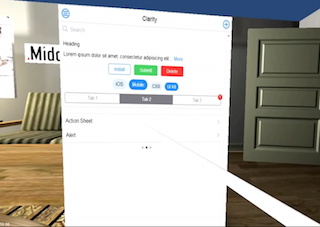 MiddleVR is the best Unity plugin to quickly create powerful and interactive VR applications, for a head-mounted display (HMD) like the Oculus Rift DK2 or high-end VR systems like CAVEs, zSpace, stereoscopic walls and 3DTVs. You can immediately download MiddleVR for Unity now! 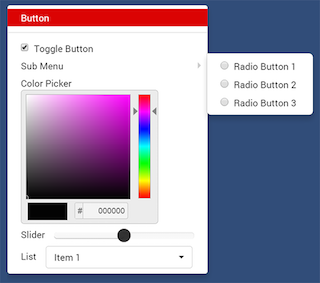 As you see in the video, our beloved Shadow Demo has been updated to include webpage display and the default menu which allows you to switch navigations, interactions etc. MiddleVR 1.6 is packed with new features! See the full changelog. 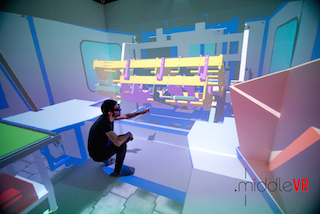 In addition to the existing “Free”, “Academic” and “Pro” editions, MiddleVR for Unity now offers a HMD edition. With one “Editor” license you can create and deploy professional applications royalty-free! Compare our different editions here. 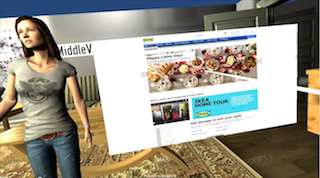 Display any webpage in your virtual world: your company webpage, wikipedia, youtube videos, anything to enrich your VR application! Quickly change settings of your application or run custom commands! We have integrated native drivers for professional 3D tracking devices A.R.T. and NaturalPoint’s Optitrack and soon Vicon. This will help reduce the tracking latency from VRPN. We have also added support for the Oculus Rift DK2, Leap Motion SDK2, Microsoft Kinect 2. Unleash the power of multiple graphics cards in one computer. This optimization will allow your application to take full advantage of the power of multiple graphics cards in one computer. For example Salford University’s immersive system Octave uses MiddleVR for Unity with 4 NVidia Quadro cards in one computer to drive the 8 sides and 14 projectors. MiddleVR has been supporting 64-bit players in the Pro edition, but we are now enabling 64-bit for all editions, including the free edition! Compatible drivers are: ART Dtrack2, InterSense IS-900, Kinect 1, Kinect 2, Motion Analysis (beta), Oculus Rift DK1, Oculus Rift DK2, OptiTrack NatNet, LeapMotion (SDK1/2), Razer Hydra, SpaceMouse, TrackIR, VRPN, Vuzix, zSpace. 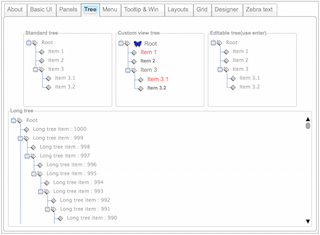 12 Tutorials – What next ? We have started integrating MiddleVR in Unreal. Here is a proof: MiddleVR for Unreal – Early preview. 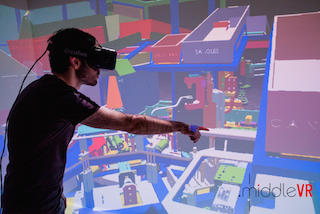 We also have a strong vision for the future of VR: it will be collaborative! People will meet online to share experiences or work together. Collaborative virtual worlds will be our next battle. Finally, there are many ways to interact with a VR world. There is no single best solution, it all depends on the application! 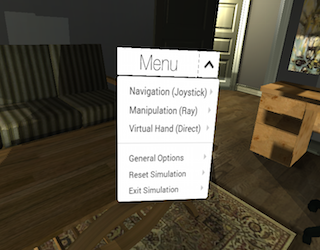 Here are some experiments to use multitouch interactions in VR: Mobile touch interactions experiments. 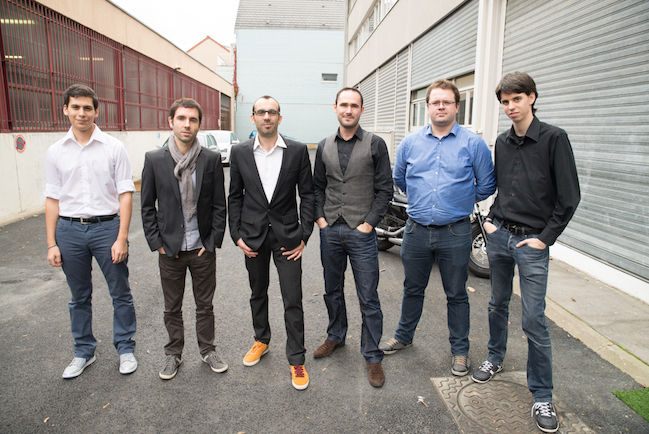 The team is growing, here’s a new year’s picture! We can’t wait to see what you will be doing in VR! Thanks again for your awesomeness ! !